It's weird how different every person feels about animals. Some choose to kill every insect they see while others carefully tip-toe around each and every fragile anthill. Truly, it's amazing. In my biology class one day, the lab was all about genetics and fruit fly traits. It was a relatively interesting lab, however, when the experiment was done, the professor just said, "Okay, now pour the fly vials into the tub of ethanol." No, that was not a typo. I was told to put live animals into a vat of alcohol to drown them. I was appalled, and quite frankly, I was mostly enraged that no one else was appalled with me. So, as the animal activist I am, I requested to let the flies go outside, instead. Of course, the professor was indifferent so I was able to do the humane thing. However, everyone else just went the ethanol-route. I tried to plead my case, but it fell on deaf ears. Later in the class period, a classmate laughed at me and said, "Ha, you're crazy. You really tried to save those flies? I kill them every time I see them. You're telling me you don't kill them?" I replied "No," much to his surprise. I told him I do not hurt animals that aren't doing anything to hurt me. Even if they were, I wouldn't kill them. He continued to laugh and called me a liar. He proceeded to ask, "So are you one of those people who tries not to step on those worms on the road that come out when it rains?" He asked me the question as if the answer would be an obvious "Of course I step on those worms." Again, I replied in a surprising manner and told him that I not only avoid stepping on them, but I pick them up and put them back into the grass. He thought this was the most ridiculous thing and made sure to let me know he couldn't care less. Now, I'm not going to say I pick up every single worm on the road, but yes, I do pick them up. 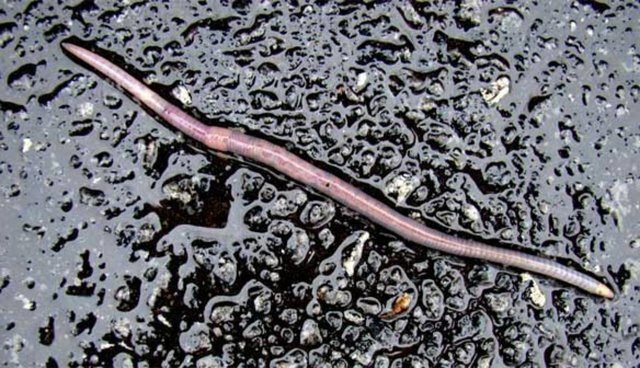 There are potentially hundreds on the road at any given rainy day, but if I can make a difference in even one worm's life, I consider it a deed well done. The mentor of a teen club I was a part of in high school called this type of work "starfishing." Starfishing comes from a story of a girl who went to a beach one day to find hundreds of starfish beached on the sand from low-tide. Her and her family were astonished at the amount of dying starfish, but her family just said, "Oh well, there's too many to save." The girl, however, began to pick up starfish one by one and put them gently into the ocean.Her family asked her what she was doing and she replied, "Even if I can't save them all, all that matters is that I've made a difference in the lives I can help." So, now I try to "starfish" in my daily life, especially when it comes to wildlife. On a large scale, starfishing is important, too. Animal species all over the world are dying at record speeds and it's becoming an increasingly terrifying problem. However, with the hard, dedicated work of a few strong volunteers, we can try to save as many animals as we can. Sure, saving every animal in the world isn't a guarantee nor is it a fully realistic wish, but, if you can save a few animals, why not try? Their lives will have drastically improved thanks to the work of some dedicated, caring volunteers. And that's what matters. Hopefully, starfishing can become a life practice for you, too. If you can't save every life, work hard to save as many as you can and feel great about doing so. For more articles like this one, you can visit my blog .